A wise man once said "Do just one thing...But do that one thing better than anyone else!" We have a passion for lift gates and it’s not “one of the other things we do”, it is the only thing we do. We are Full Service, and in the Pacific Northwest, we are the best! We are a team of specially trained lift gate technicians who are fully focused on our customers and the quality of work we provide. With great respect and trust from well known lift gate users as well as all major manufacturers we have worked hard to earn and maintain our reputation. 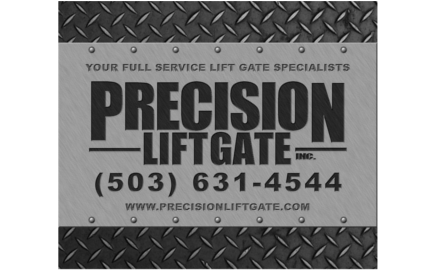 If the smooth operation and dependability of your lift gates is important to your company, PRECISION is designed for you. We would love to hear from you today. Click here for contact information. THE BEST INSTALLATION IN THE WORLD! The "all-new Next Generation BMR"
Copyright © 2015 Precision Lift Gate, Inc. All rights reserved.